Jio Speed is matching up with Airtel. Jio 4G didn't have the kind of start that Reliance was hoping for when it was launched publicly in September last year. Sure, it gathered numbers. Over 6 lakh users joined the network every day in the beginning. But as more people came on-board, the speed of the service nosedived. Jio promised that it would be the fastest 4G service in the country. In the weeks that followed, TRAI data showed that it was the slowest. That, however, changed recently. The same TRAI data now shows that it is the fastest 4G service in India. Also Read : JIO : फ्री सेवा 31 मार्च से आगे बढ़ाई जा सकती है? But all of that is data. And data may not always relate to the reality on the ground. So is Jio speed really better or is TRAI just pushing some meaningless statistics? The truth lies somewhere in the middle. The speed is definitely better. Before Jio's public trial opened in September last year, a handful of million users who were using it were seeing fantastic speeds. On occasions, the service touched 20mbps to 30mbps with ease. But after it acquired more users, the speed started coming down. In its worst days -- I think around October -- it barely worked. When used on phone in an app that wasn't the speed-test app, the Jio network performance was abysmal. if you wanted to use the phone Jio connection to create Wi-Fi hotspot, it was even poorer.  More significantly, the speed is better even when you are using the connection as Wi-Fi hotspot. Earlier as soon as you turned the network into a Wi-Fi hotspot, it will play dead. Now it doesn't But of late, some speed is back. It is still not up there with the 20mbps to 30mbps that people with Jio connections saw before the service was launched but it is now around 5mpbs to 10mbps most of the time when you are using an app like YouTube. In speed test apps, for some reason, the speed is significantly better. But let's not talk about that. You don't watch videos on the speed-test app. Also Read : Know the difference between Reliance Jio Happy New Year Offer and Welcome Offer? More significantly, the speed is better even when you are using the connection as Wi-Fi hotspot. Earlier as soon as you turned the network into a Wi-Fi hotspot, it will play dead. Now it doesn't. If you are downloading a few torrent files -- everyone in India downloads those cool Linux distors, right? -- the speed with Jio network is mostly very good. Overall, at least in Delhi, I have started to feel that Jio speed is as good as the one offered by Airtel. I don't use Vodafone and Idea but those two are considered somewhat worse than Airtel in Delhi (other regions are different) so it is safe to say that Jio is up there among the better performers. In other words, I feel that the TRAI data does show an accurate -- or mostly accurate -- picture of the network speeds in the Indian phone market. However, there is one thing that TRAI data doesn't show and that is also the area where Jio continues to struggle. Its coverage is still somewhat patchy. Although here too the company has improved, but the problem for the Jio network are the big buildings. Inside shopping malls etc, its coverage doesn't seem as robust as that of Airtel. Although, I must add that even Airtel is not really a shining example of reliability. Its 4G network too has a mind of its own and vanishes from time to time, especially when you are travelling or are inside big buildings. Jio still has over two months to go before it asks people to pay for its services. As part of its Happy New Year Offer the company is offering free unlimited data (1GB per day FUP) and free calls and messages to people until March 31. 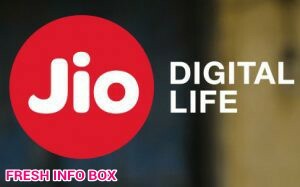 March 31 is also seemingly the company's deadline to fix the teething issues that are plaguing it since it opened the service to public from September 5 and it seems, from how the Jio network is behaving for the last 5-6 weeks, that the company is hard at work to meet this deadline.